Mary Coriz is known for her multi-strand necklaces of medium-diameter heishi. 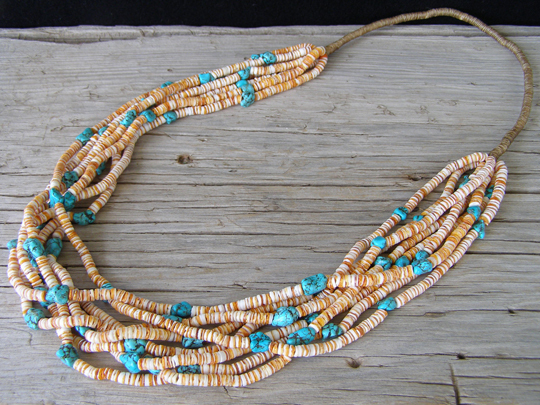 This necklace consists of ten strands of heishi made from orange spiny oyster combined with nuggets of Kingman turquoise. The necklace is finished off with a tight, well-made traditional wrap. Length of traditional wrap: 12"